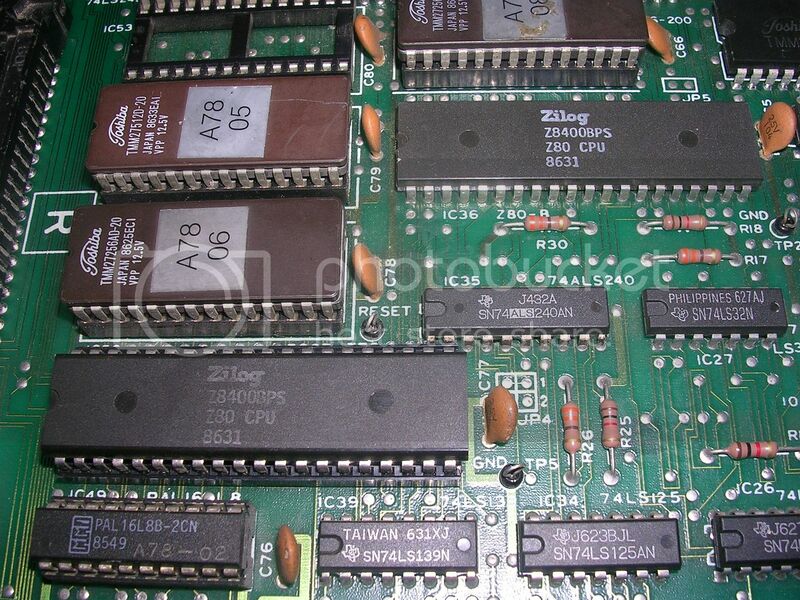 Got an exciting parcel in the mail recently, a box of interesting faulty boards to replace the uninteresting ones on my too dull pile that I have been getting rid of. 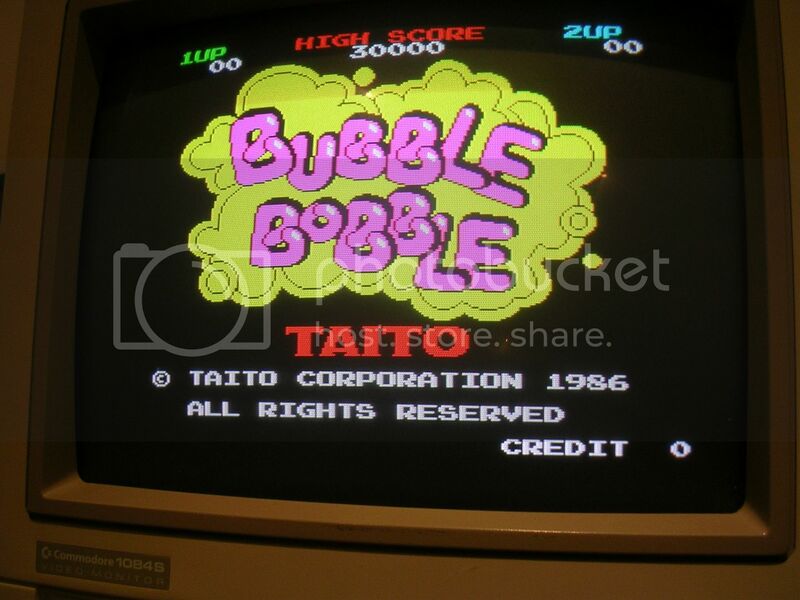 Two Bubble Bobbles, a TMNT, and a Black Tiger, all originals of course!! Unfortunately the box arrived looking like this. 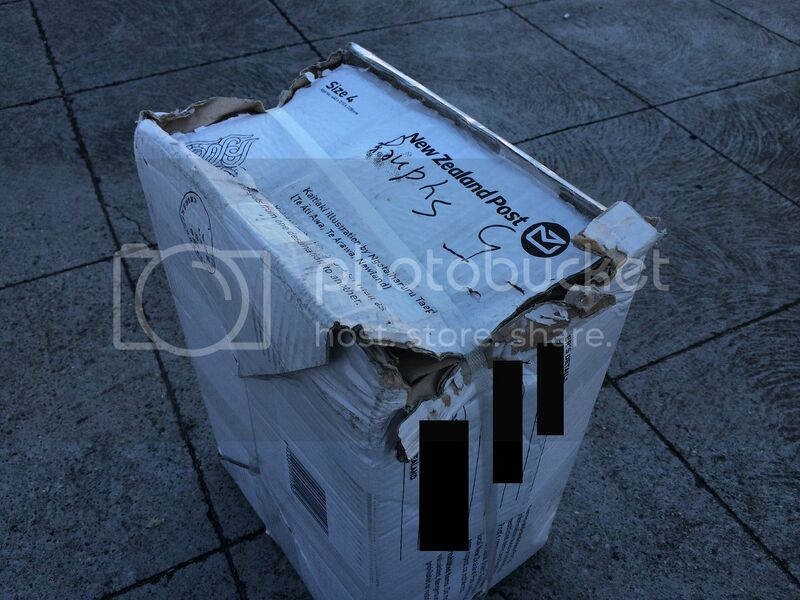 The cardboard looked like it had got very wet at one stage and been dropped, or kicked hard. Not sure if the strapping was there when it was posted or if someone had taken pity on it on the way, but the stoved-in end was torn completely open on two sides and it was held together with the strap. Inside the boards were well packaged but am surprised the box made it. All the boards except one were physically fine, and of course the one to take the brunt of the force had to be one of the Bubble Bobbles, on opening the bubble warp I was greeted with a shower of plastic and something metal pinged out onto the floor, the lid of a RAM chip, not a good sign. Amazingly the board looked mostly OK. 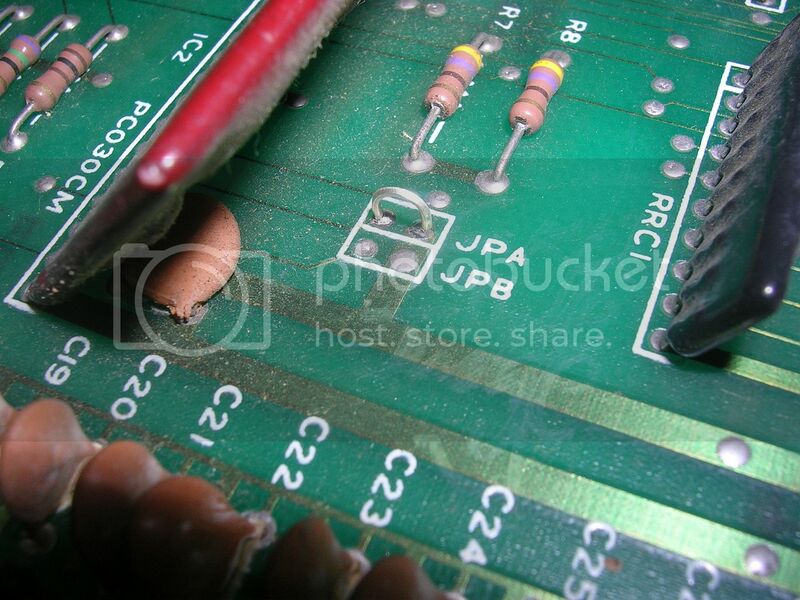 The power connectors were battered and manky, but they usually are as people solder directly to them rather than using the correct connector. 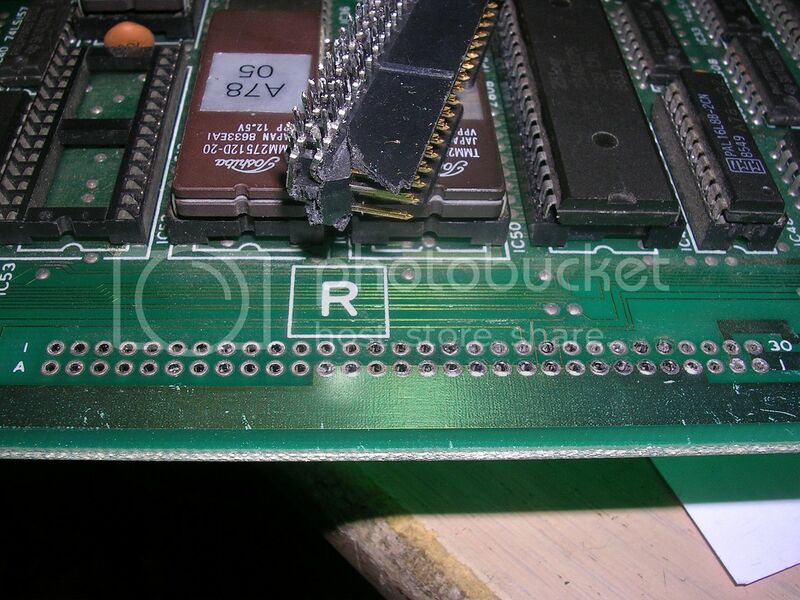 The board had signs of previous rework as one of the Z80s was socketed and a lot of the TTL logic had been replaced previously, but it was all pretty neatly done. 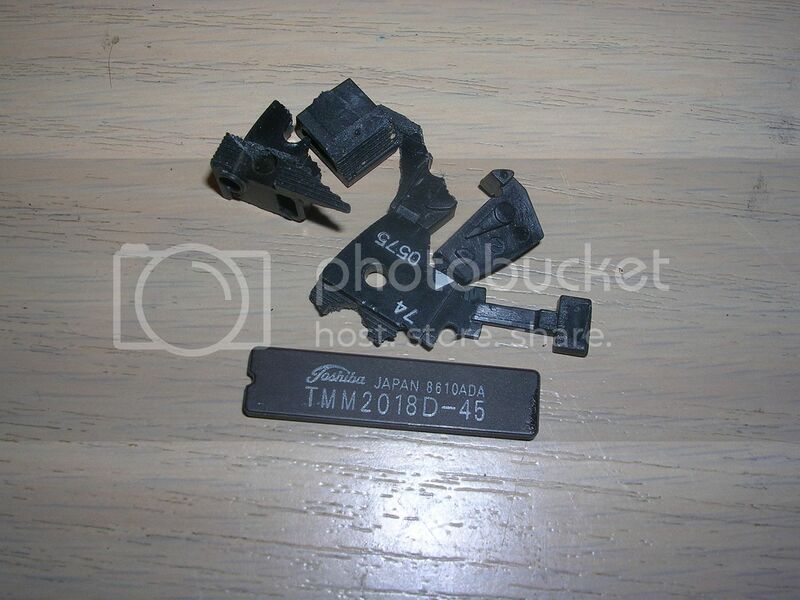 The shower of plastic was from the 60 way IDC connector on the video board, it has been smashed inwards bending a lot of the pins and shattering the socket housing as well as the ribbon cable plug itself. The chip lid was from a nearby chip in an area otherwise untouched. 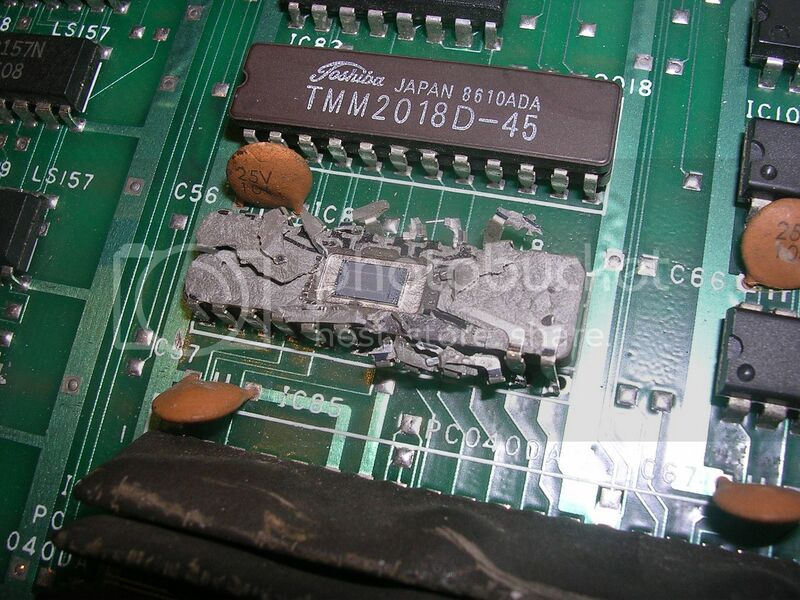 Aside from these the board had the usual physicals faults form a hard life, broken PCB standoffs and mashed decoupling capacitors in every corner. 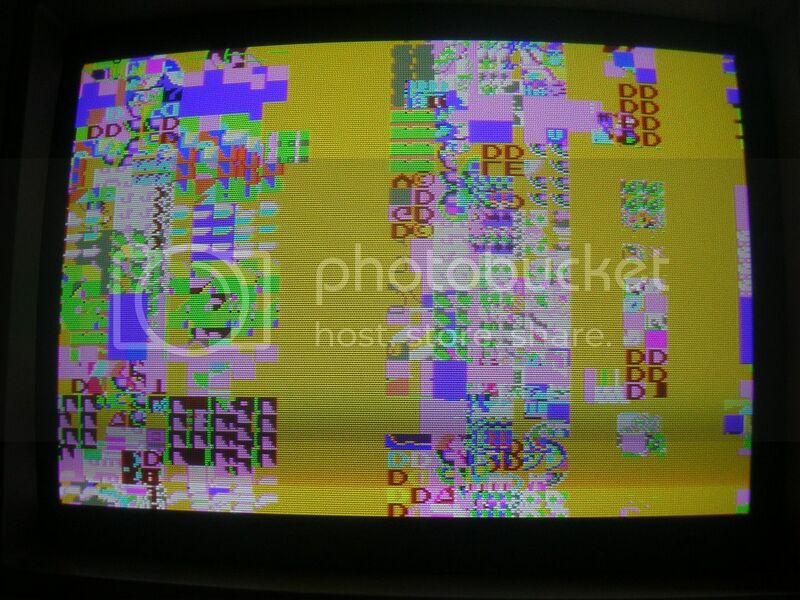 Despite the violence none of these faults looked like a reason not to power it up I plugged in my harness and flicked the switch, I was expecting to see a boot up fault and at least a colour fault due to the smashed RAM chip. 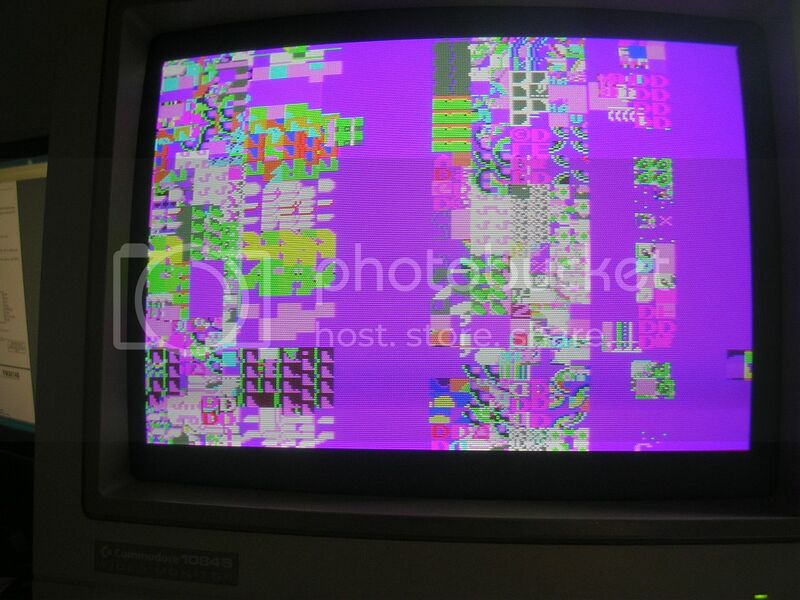 It is one of three that sit in the colour palette section with each chip handling either Red, Green or Blue data. Amazingly it booted up flawlessly. Whatever the original fault was, it was gone. 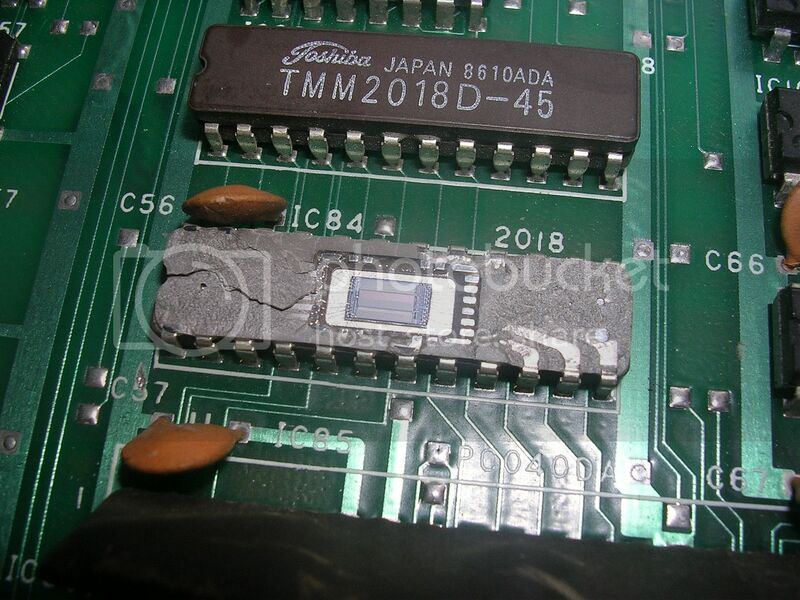 I suspect it would have been fixed by re-seating the ribbon cable and all the socketed chips as oxide builds up on the metal to metal contacts making the resistance higher and higher until the connection is lost. Re-seating everything scrapes this layer away and the contact is remade. 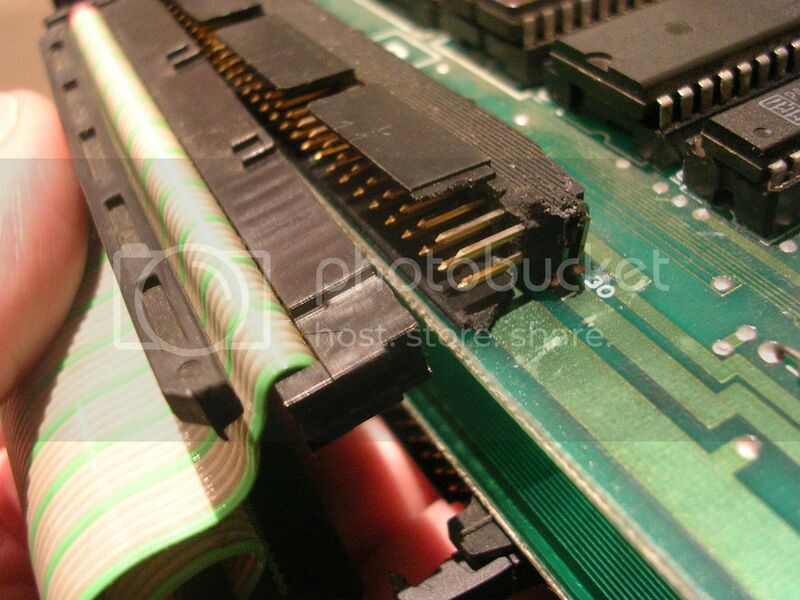 A violently applied boot to the ribbon cable connections would achieve much the same effect. 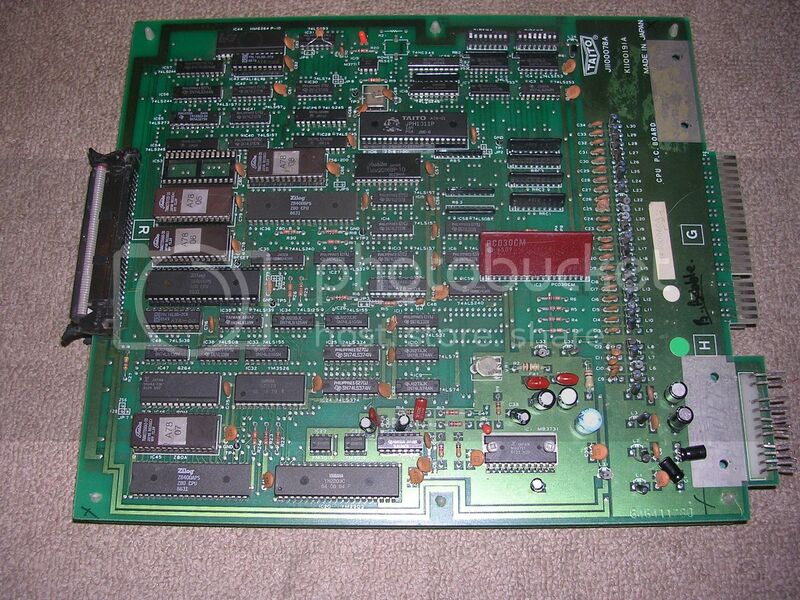 I tried the second board at this stage, but finding that a lot more faulty I returned to fix this one up properly. 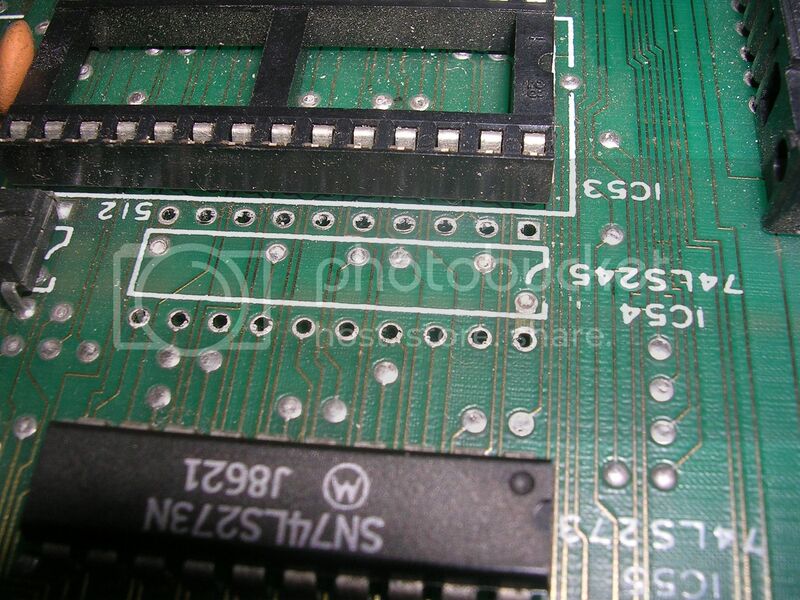 Removing the smashed 60 was IDC was a pain in the rear, as although the board is beautifully made with large robust plate through holes, the IDC connector pins are chunky and all 60 have to be completely cleared of solder before it would shift. 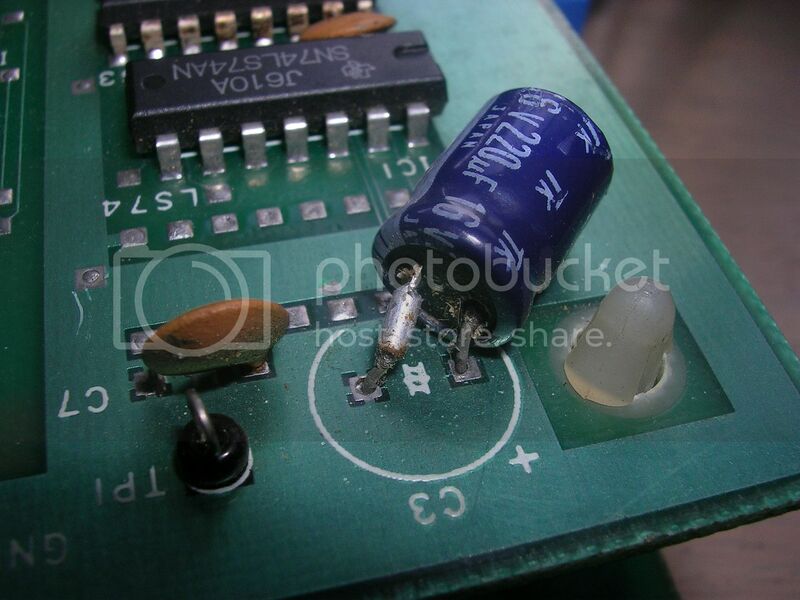 This took about 45 minutes and many many passes of adding new solder and re-clearing with the desoldering iron. 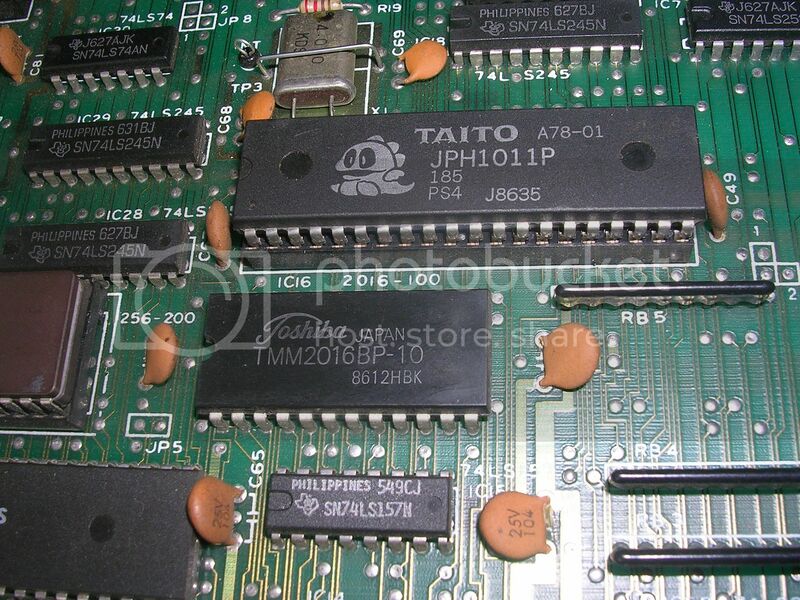 Then I had to repeat the whole process again on the scrap donor board to get a usable 60 way connector to install, a rusted out Tecmo World Cup 90 PCB valiantly gave up its connector. 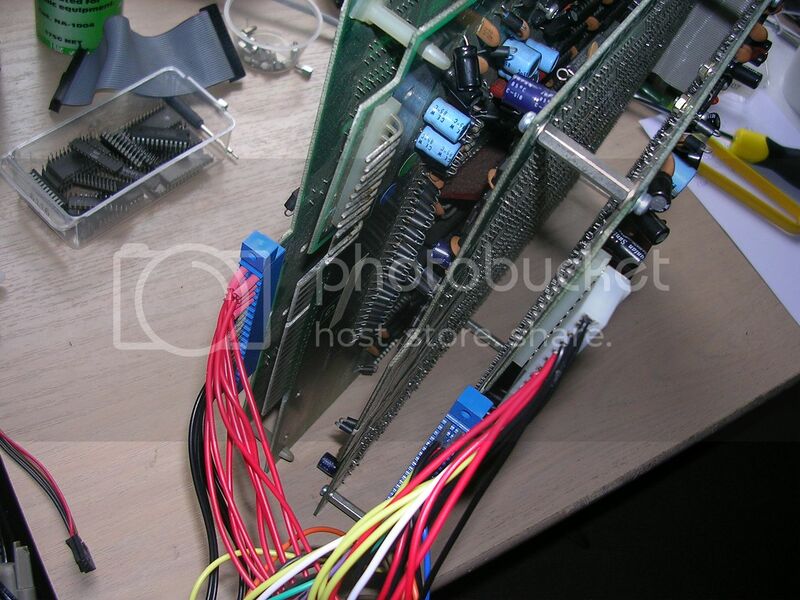 It turns out 60 way connectors are uncommon in arcade land, most boards use 50 way which you can still buy at Jaycar new, 60 ways are much harder to find in quantities of 1 for non-silly prices. 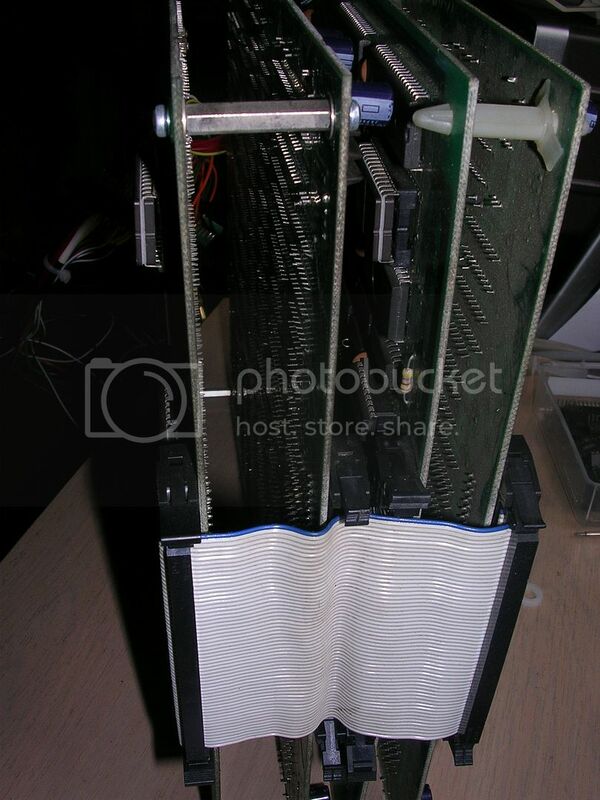 ...I was tempted to glue the top back on and leave it, but the grey potting compound had crumbled away to dust and without the environmental seal I was not sure how long it would last before things started to oxidise. 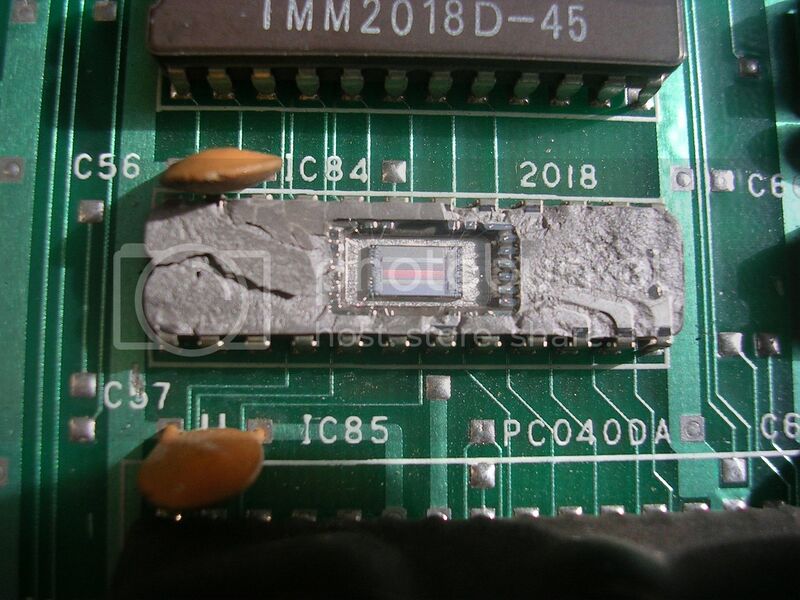 Sadly it died on the operating table and literally fell apart as I started to desolder it, the only thing holding it together was the PCB it was on, even the underside of the chip was shattered. Thankfully the board underneath was fine. 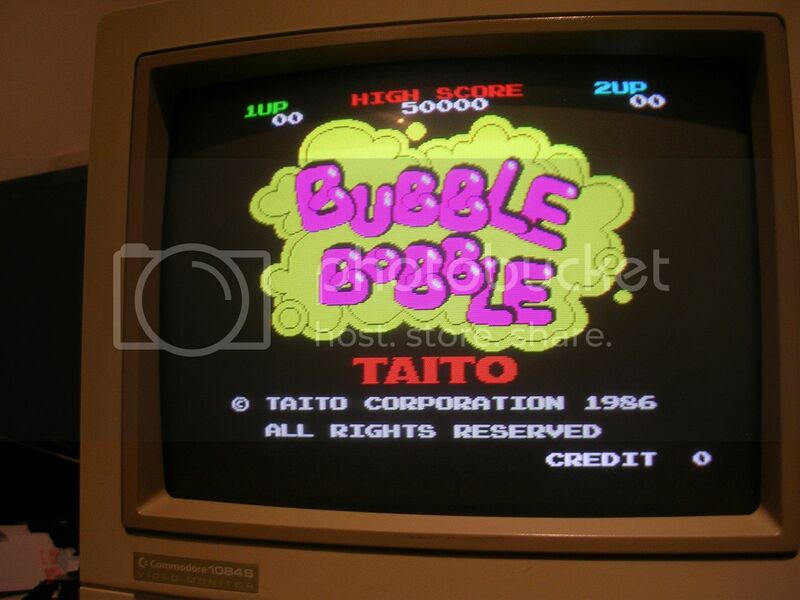 I could have dropped in any old 6116 variant RAM but this is Bubble Bobble and I like my repairs to be practically invisible once I am done. So I went through my scrap boards to find as close a match as possible. 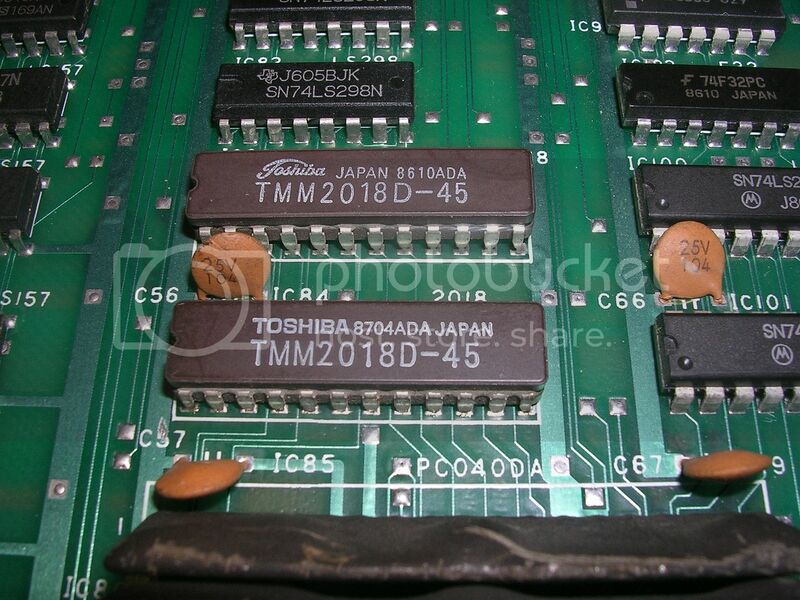 The smashed 220uF 16v decoupling caps were replaced, and I will probably replace all the PCB stand offs with proper machined metal PCB mounts as fitting such an iconic board. Went for a final power up test, only to find the sound would just cut out after a few seconds to a few minutes. 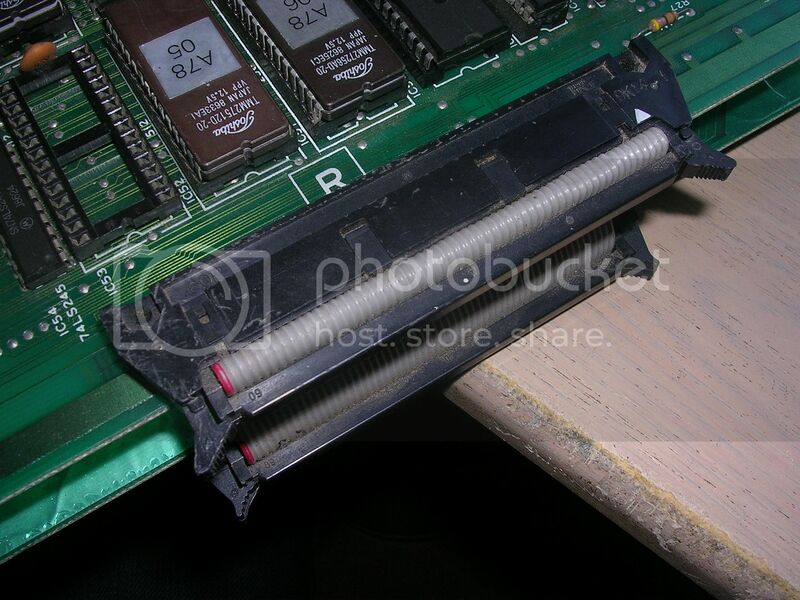 Re-seating the other end of the ribbon cable chased that issue away. Potentially bad connections were all that was wrong with this one originally, will have to keep an eye on it before it is released back into the wild. Actually one potential fault might have been that it wouldn't coin up, that is actually an easy one to fix. Factory fresh these PCBs were designed to use the signal from a coin counter to trigger a coin up, if you don't have a pulse coming in from a coin counter the PCB will not coin up, unless you set a jumper that doesnt exist. 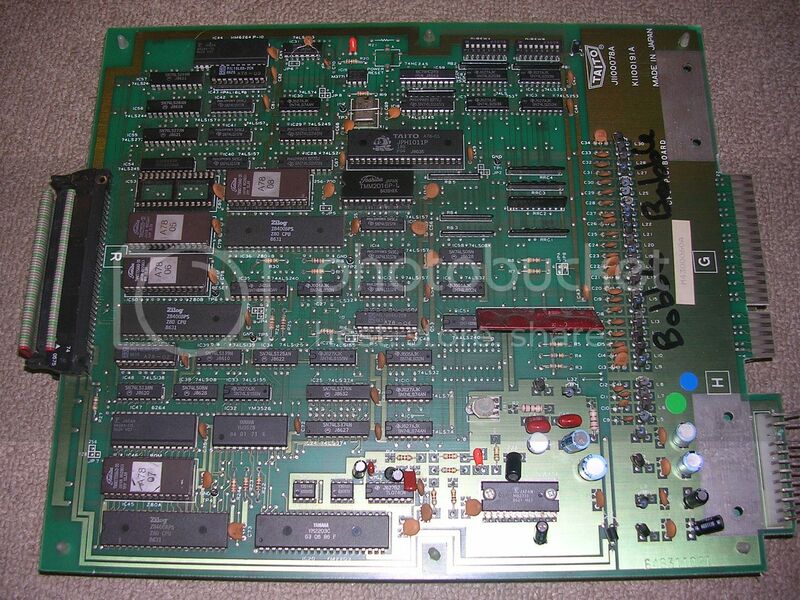 This board had no jumper set and it would only coin up using the service switch - odd. 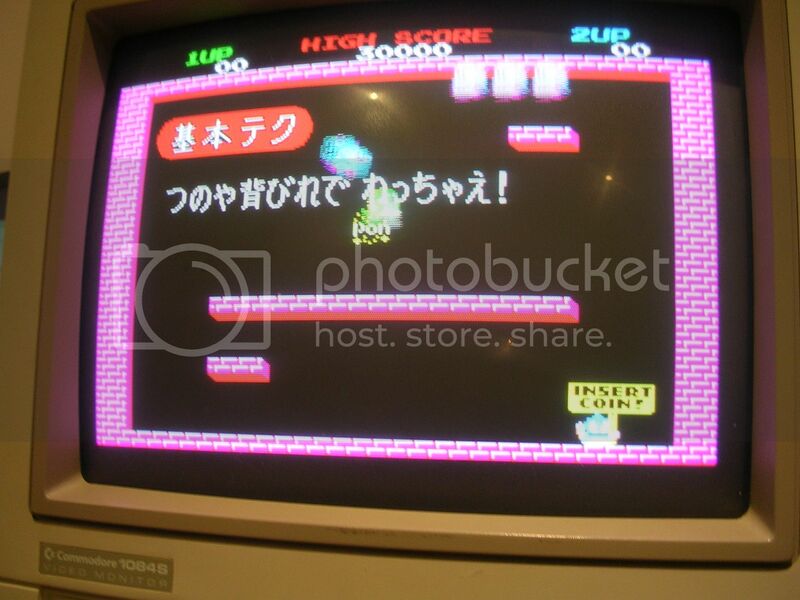 Original Bubble Bobble boards have two unpopulated jumper pads, marked JPA and JPB for this purpose, fitting a link on JPA enables coin-up in the normal manner. 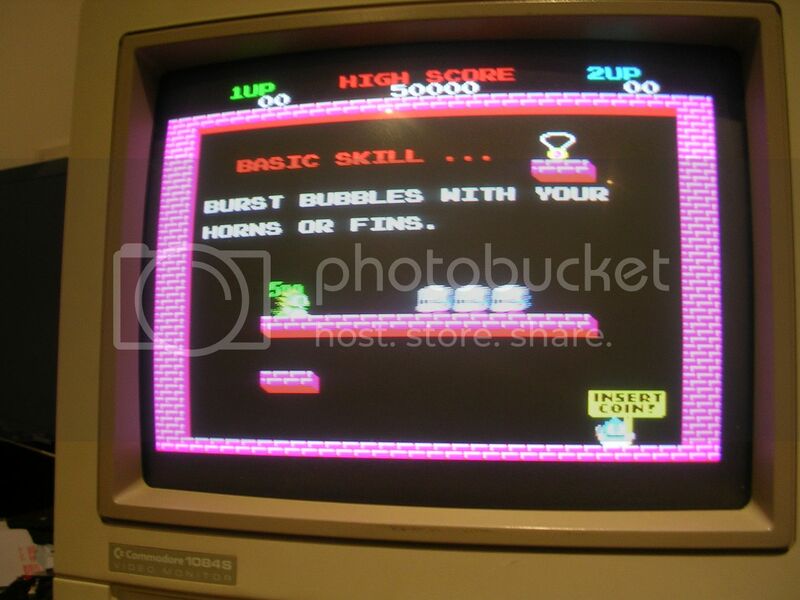 ...but was significantly more faulty, when hooked up on the test bench all it did was this. 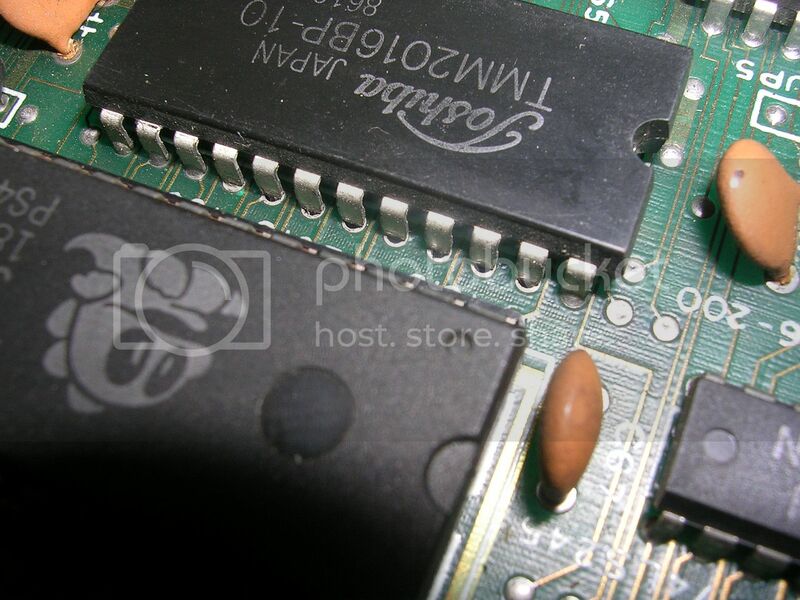 ...are not uncommon failures so I pointed the scope at its data bus pins. The signals were a mess, this actually looks like bus contention when multiple devices are talking on the bus at once and the signals are fighting/cancelling each other out. 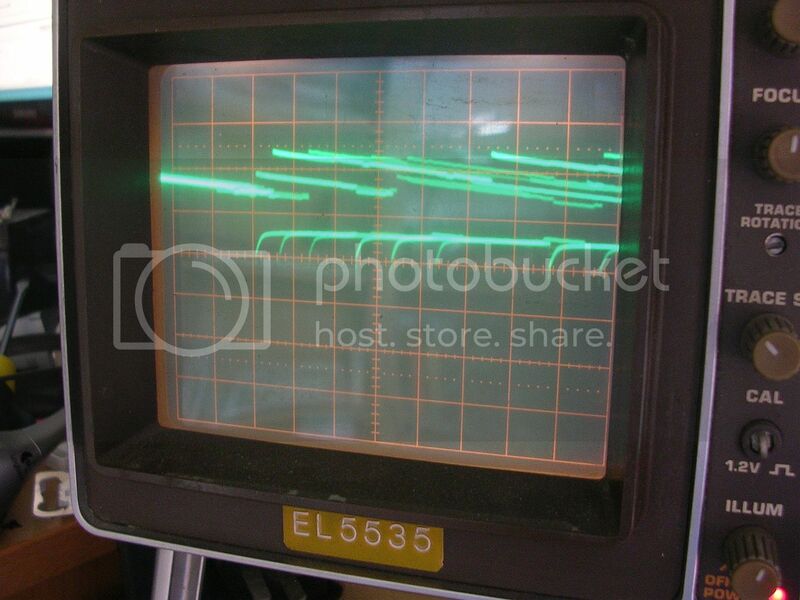 As opposed to the data bus which shows nice transitions between logic low and logic high levels. 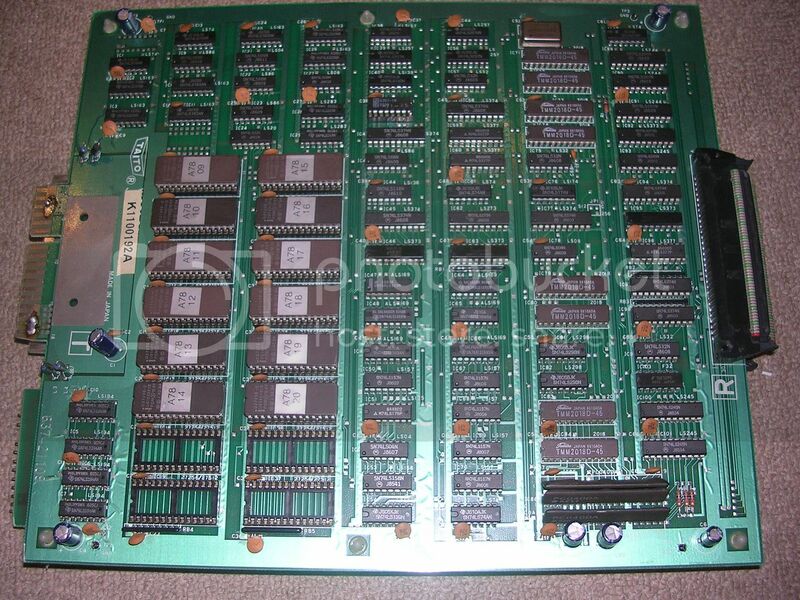 Which got me this, a hybrid working BB board set. 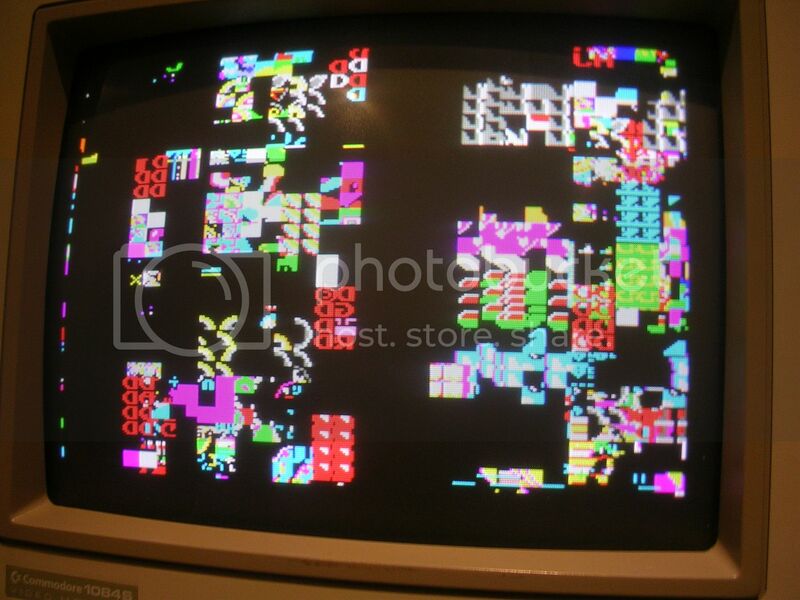 So the video board on this set was fine, only the CPU board had the fault(s). 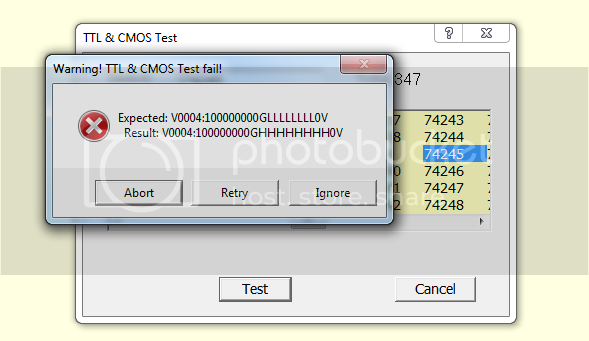 ...and tested it in my EPROM tester - it passed the read write tests. ...putting the original SRAM chip back in resulted in exactly the same again. The fault had changed very slightly and was staying changed which suggested I had annoyed something but very close to the fault. Moving on with the scope I started to workout where the buses run and came across the 74LS245 at IC54. These are bus transceivers that control the flow of data by latching bidirectionally, either A side to B side, or B side to A side depending on the direction (DIR) pin logic level. 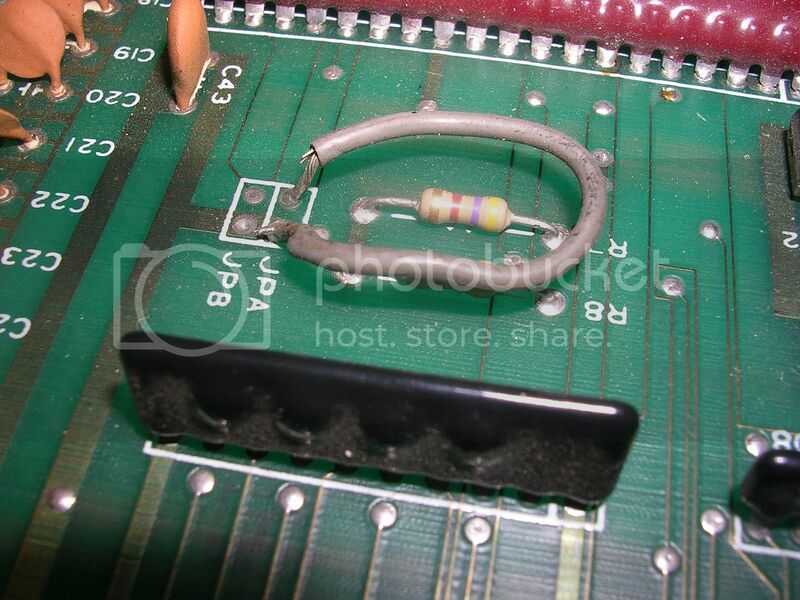 There is also a chip enable pin that selects whether the chip is active or completely dormant on the wires. 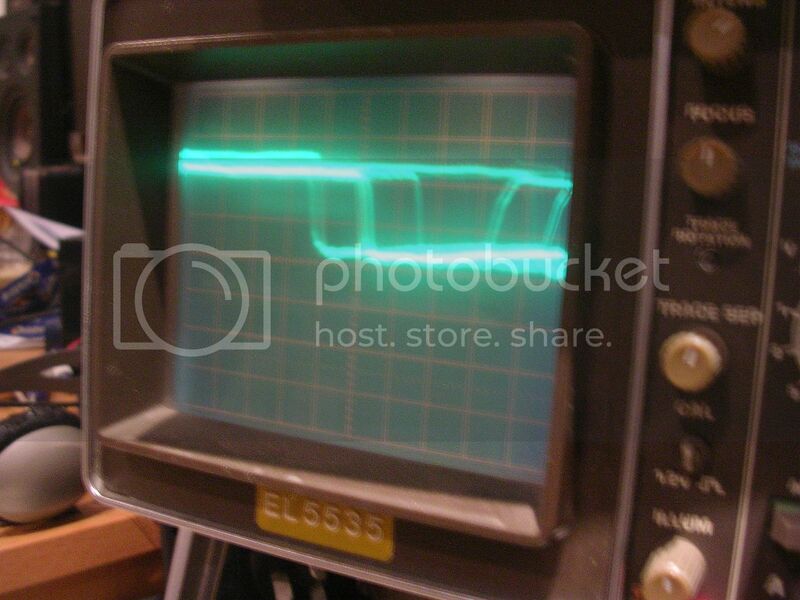 The chip was set to be active and the DIR pin was very actively switching between the two direction states. However there was only activity on the A side of the chip. 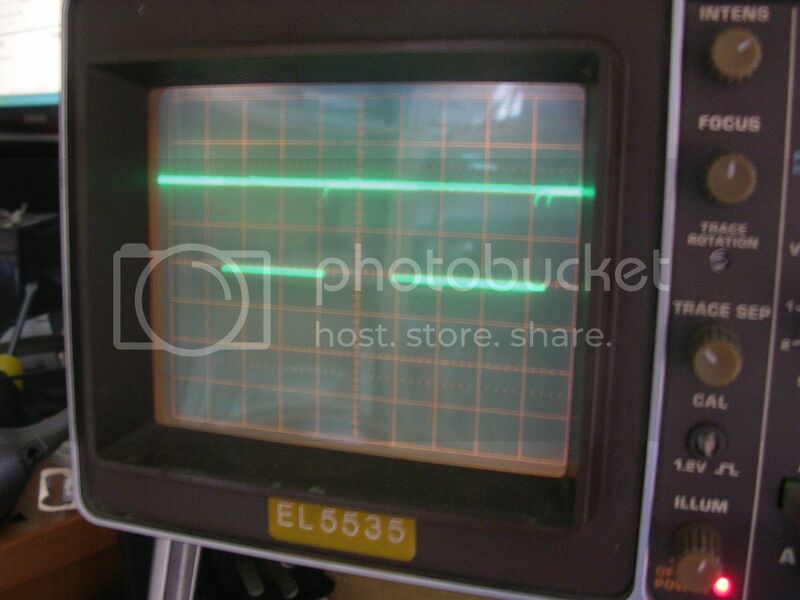 ...but sometimes dropping to be halfway between the two voltage levels or fading out to nothing. 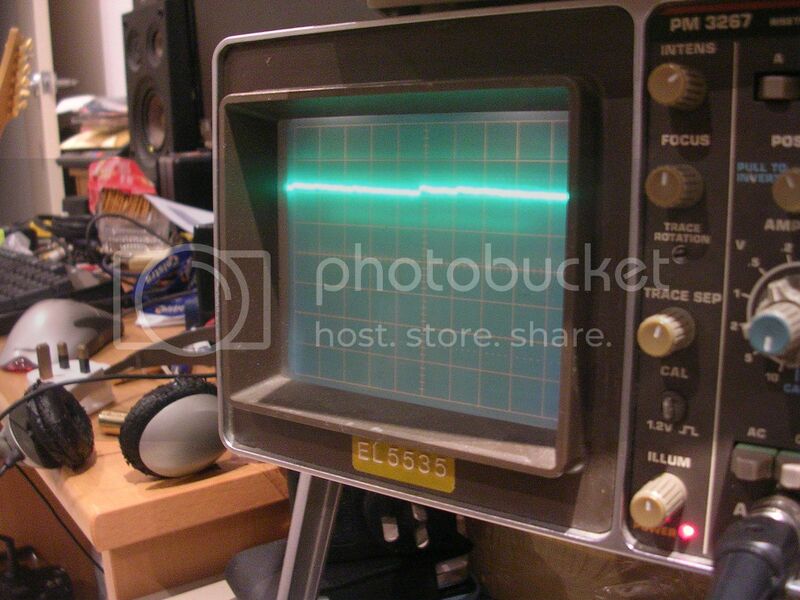 ... and tested on my EPROM reader. 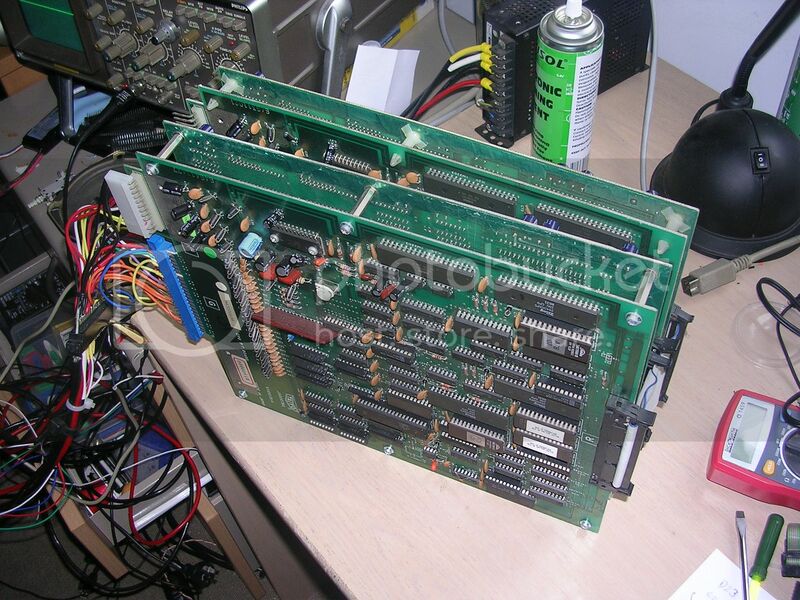 ... the A and B side of the 245 were now highly active but the RAM chip data bus still looked borked. 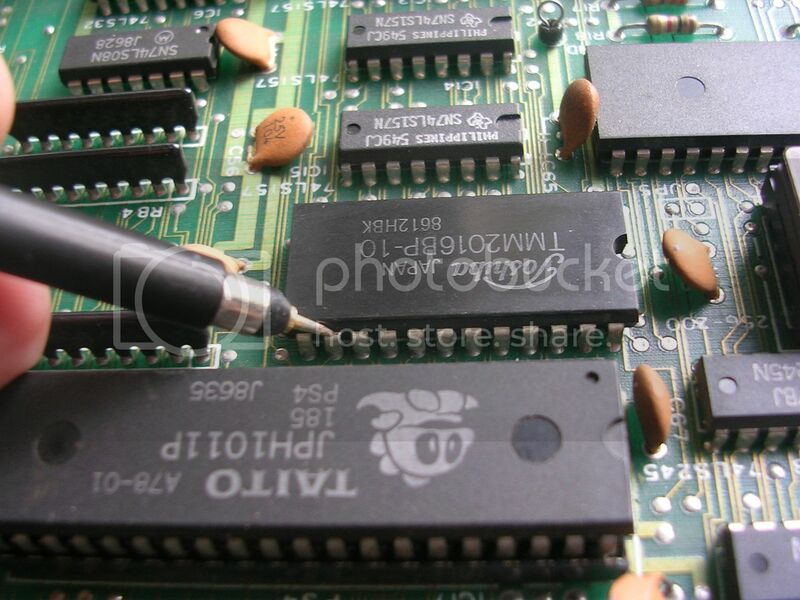 So I swapped out the original TMM2016 chip again (the reason I fitted the socket) with the one from my stock and flipped the switch. Clearly the original TMM2016 has lost the ability to behave when it is not the sole occupant on the buses and was always blasting data even when it was told to be quiet. 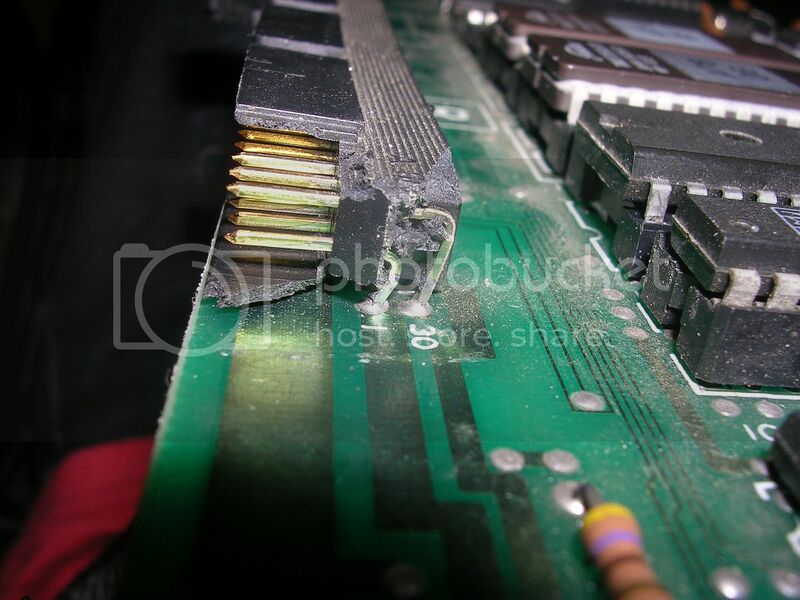 I admit I do love board repairs where the board is left as untouched as possible by only removing parts that actually are faulty rather than re-fitting parts that checked out when removed. 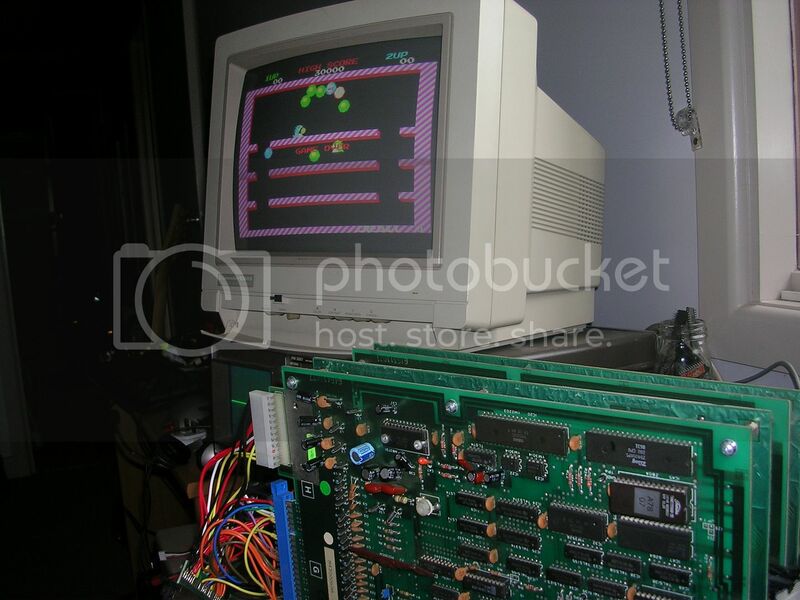 The brown coat hanger that had been fitted to enable coin-up was replaced with a neat wire link and the game was given a thorough play test to confirm a full fix. As always - beautiful work mate.